Sgnl is the smart strap that enables you to answer phone calls through your fingertip. Simply place your fingertip to your ear while speak through the embedded microphone. Replace your existing watch strap with Sgnl and you’re done, whether you wear a classic watch or an Apple Watch, Samsung Gear, or Pebble Time. There’s no one who never lost their earphone in their lifetime. With Sgnl, you can keep your cell phone alone in your pocket and simply raise your hand to answer a phone call without carrying any extra headset or earphone. When you place your finger to your ear, your finger not only transmits the sound but it also blocks out background noise. So you can hear very clear voice in a loud places without worrying about other people listening in. Piqapoo was designed by dog parents with the dog’s well-being as the top priority. We spent three years refining its design and searching for the best materials that are both durable and provide maximum comfort for our pets. As dog parents, we are very protective of our dogs. When we first came up with the idea we had to check that it actually works. We talked with many dog owners, trainers, and vets and got very good feedback. How can using bike share be a safer and less stressful experience? Almost ninety percent of bike share users don’t wear helmets, and nearly all report feeling unsafe on the road. Eco Helmet is an inexpensive folding helmet that can be purchased onsite and recycled when at the end of the ride. Constructed from waterproofed recycled paper in a radial honeycomb pattern, Eco Helmet absorbs blows from any direction as effectively as traditional polystyrene. It folds flat for easy vending and fits most head sizes.Eco Helmet is designed to give cyclists the confidence they need to ride safely in the city. Vinci believes in a future where your headphones are the central hub of your connected world. Over the last two years we’ve been testing and perfecting a smart, wireless headphone that is controlled by your voice and powered by cloud technology, with no connection needed to your mobile phone. Vinci allows you to voice control your music when manually choosing songs on your phone is inconvenient. 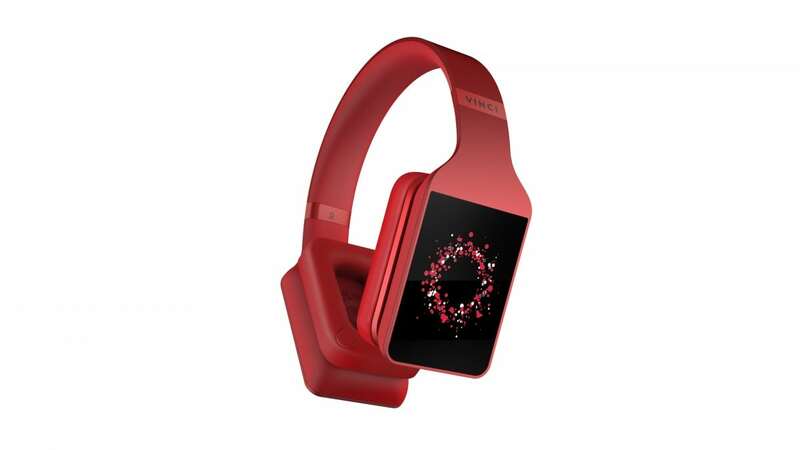 No matter what you’re doing – walking, running, or commuting – you can tell Vinci exactly what song or artist you want to listen to, say a specific genre or mood, or let Vinci pick a song for you. Voice-controlled and hands-free, Vinci connects you with music requests, information, directions, local venue recommendations, reminders, and so much more. When you need Vinci’s help, simply say “Hey Vinci” or use one finger to press and hold down on the touch screen, and Vinci will instantly recognize your voice command to assist you right away. Unbound is a line of clothing that will allow you to see more of the world, without the burden of hauling around bulky luggage. Stylish, simple merino wool apparel that can be worn for weeks or even months – without ever needing to be washed. 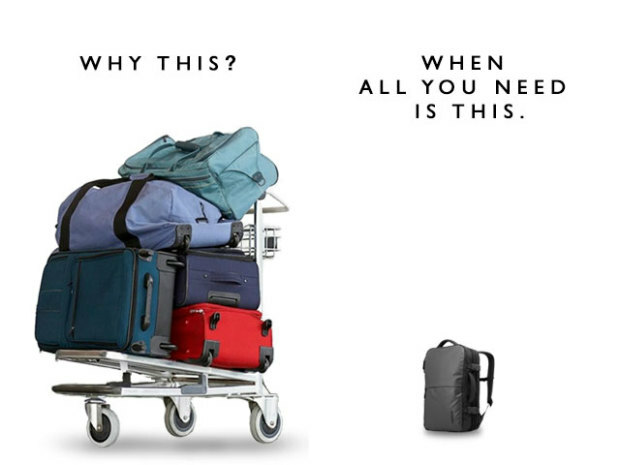 Which means you can ditch the big suitcase, because all you’ll need is your backpack. We’ve created the travel essentials that will bring out the true minimalist in you. 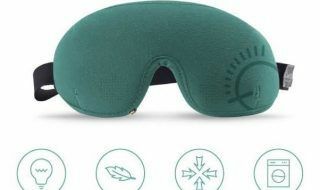 Silent Partner utilizes Active Noise Cancellation technology (ANC), which senses the snoring sound and emits a counter sound, to cancel the undesirable one. Silent Partner relies on the physics of sound waves. Every sound is characterized by pressure waves, which have specific amplitudes and frequencies. The amplitude of a wave measures its height above its base position and the frequency measures how many waves pass a point within a certain space of time.A noise-cancellation device, like the Silent Partner, emits a sound wave with the same amplitude but at an inverted phase to the original sound. So if the snore wave looked like a bumpy line, the counter sound would overlay the snore wave with its bumps in between the bumps of the snore line. As a result, the wave and counter-wave combine to form a new sound wave and the two effectively cancel each other out. Perfect for kitchen and bathroom taps everywhere. In your home, your boat, at the office, in your vacation home or wherever you have a tap and want to save water. The old solution for saving water has been to restrict the flow of water. But that only works up to a point. When you’re left with only a drizzle, you need a shift in technology. We looked at the problem from another perspective. Instead of restricting water, we wanted to use as much of the water coming out of the tap as possible. The issue with regular taps is that you only use a fraction of the water coming out of your faucet. It bounces of the surface of your hands or plates. Or even worse, it just passes right by and straight down the drain. The RGB LEDs on iBand+ headband and the compact iBand+ pillow speakers work together to effectively deliver audio-visual stimuli while providing optimum user comfort.Based on the information gathered from your previous sleep cycles, iBand+ app recommends the audio-visual techniques that can work best for you and helps you choose from the pre-loaded audios. You can also choose from your own music and audio book library. We all want easy access to hydration anywhere anytime, yet no one likes to carry around a bulky water bottle that fits nowhere and only adds unnecessary weight. Plastic bottled water is convenient but does so much permanent damage to our planet. So created que Bottle, the only collapsible bottle that can travel with you and looks absolutely awesome. Unique spiral design shrinks que bottle to half of its size without sacrificing its stylish appeal.Made of 100% BPA-free food-grade silicone, que Bottle is 100% plastic-free, making it safe for people and the planet. It’s lightweight and compact, taste and odor free, stain and bacteria resistant, dishwasher safe, and safe to use for both hot (up to 140F) and cold beverages. Plus, we are offering two size: high-capacity 20 fl oz for everyday use and 12 fl oz bottle for travelers and kids. Collapsed que bottle can be used as a small-sized bottle, making it even more versatile. Vue uses bone conduction audio technology to transfer stereo sound to your inner ear without the use of earbuds. Your ears remain unplugged, so you can listen to music, answer calls, and hear notifications all from your glasses while still being able to hear the world around you.Navigate your Vue with a convenient touch interface embedded into the arm of the frames. Vue has no ports or buttons, ensuring that the experience is as least intrusive as possible.Your frames function the way you want them to. Use the app to pair gestures with custom actions tied to your phone, like hearing the current time, weather, activity summary, and more.Vue ensures you’re safe whether you’re a pedestrian, cyclist or driver. Hear turn-by-turn navigation without having to look at your phone. Vue’s open ear design allows you to listen to directions, music or calls without blocking your ears, so you can still hear traffic and the world around you. While driving, Vue checks if you’re looking down or outside the window for long periods of time and alerts you. Audio and LED notifications can help to nudge you back into focus, helping you to avoid accidents and get home safe.